The slowdown's bite is apparent, but the hunger for a seat in any of the top B-schools remains as strong as ever. Presenting the 2013 edition of Business Today's survey of India's top B-schools, in partnership with MDRA. Are courses in ethics at B-schools effective? 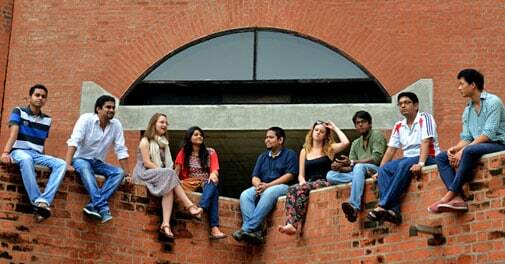 Most of us assume that IIM, Ahmedabad, born 1961, is the oldest in the country. Not so. The oldest "business" school is the Indian Institute of Social Welfare and Business Management in Kolkata. That is not the only gem we uncovered in this year's Best B-schools survey, our fourteenth. The recliner market in India is tiny compared to the West, but it is growing. While a basic PVC-upholstered single seat recliner comes for just Rs 18,000 and a simple La-Z-Boy costs around Rs 29,000, you could fork out up to Rs 10 lakh for chairs with bells and whistles. Business Today Editor Chaitanya Kalbag says the ADB thinks GDP will grow by 5.7 per cent in 2014/15, but it is not as if the tendencies in the Indian economy will go away magically after the elections. BT gets many responses to its case studies. Below is the best one on Havells's acquisition of Sylvania (August 18, 2013). Soon, residential spaces will become as intelligent as the people who live in them. So, are we ready for the future? The four best movies on entrepreneurs, ever! With the proliferation of tablets and smartphones, there are millions of parents globally wondering if they are bringing up a generation of technology-addicted - or even worse, technology-dependent - children. As general elections near, a war of words has broken out between the Congress and the BJP over the economic track record of their respective governments at the Centre. Business Today's assessment shows that their successes and failures even out.